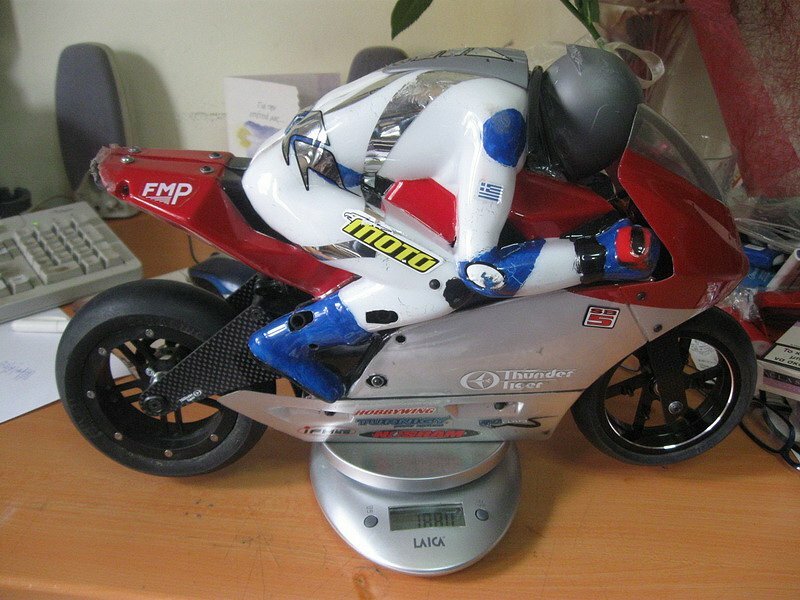 Obsessed with the weight of the bike!!! 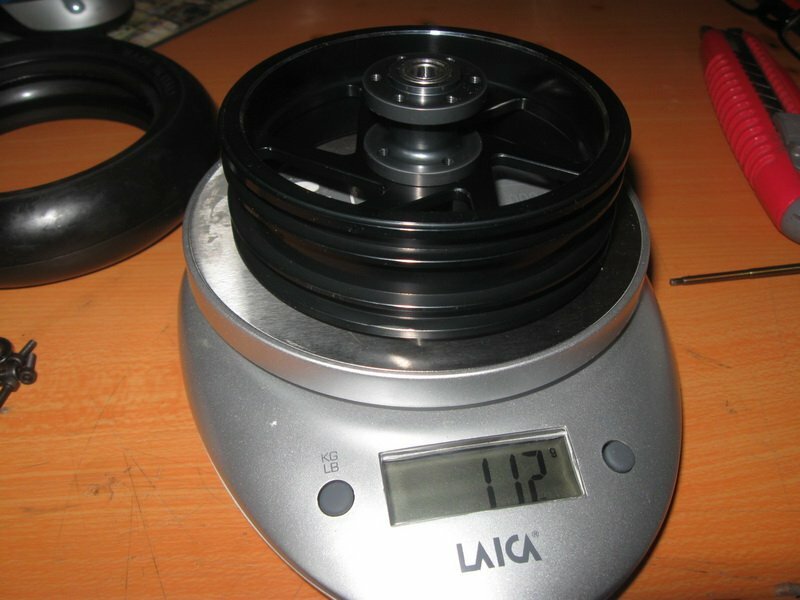 Well, I decided I would like to see the SB-5 getting some fat, so it complies with the 2011 Worlds rules that state minimum weight for the Stock class will be 1900 gram. 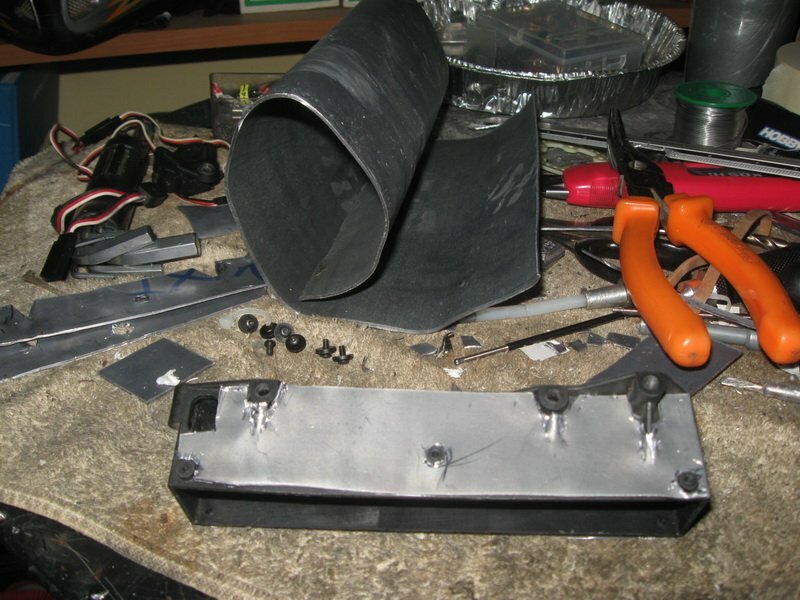 After discussing it over the fora, TT-Tom suggested lead stripes around the battery box. 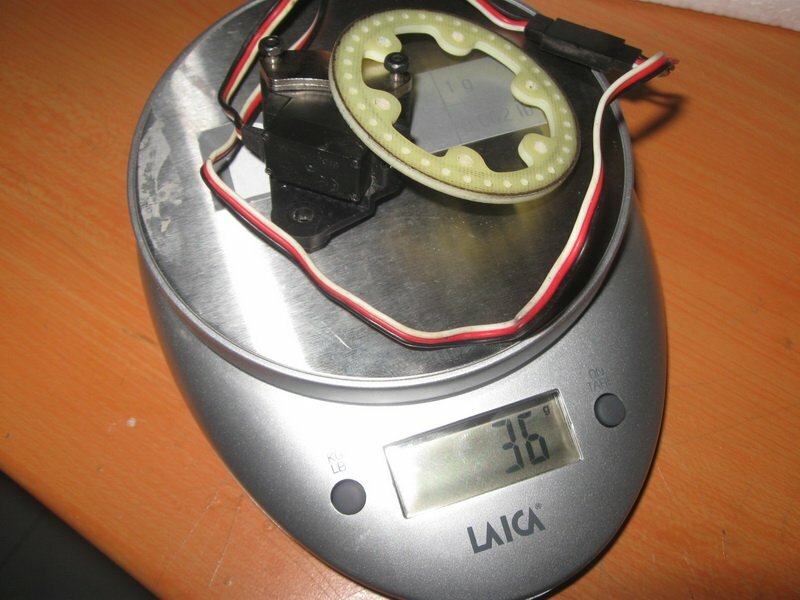 Doing it, it gave me a battery box weighing about 187 gr. I had to remove the front brake! So... where else to find some more weight?! 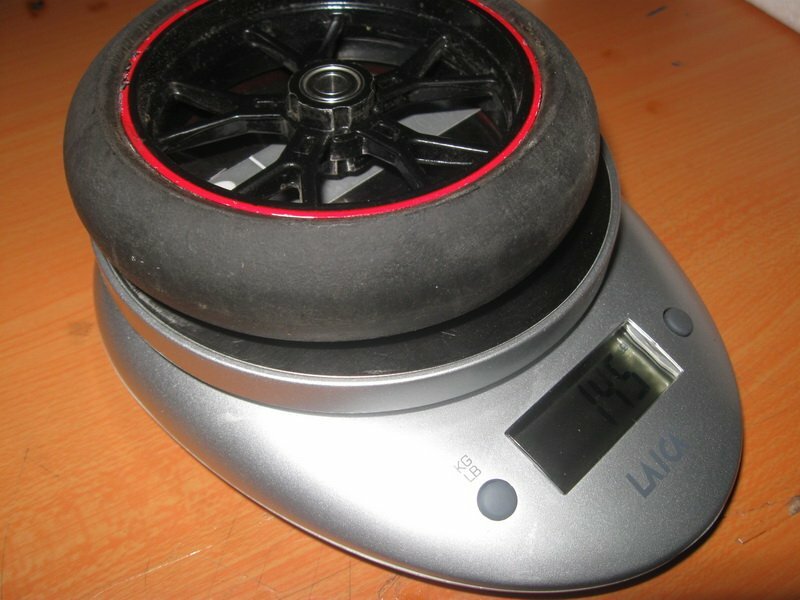 ZH-racing front wheel. Now we are going somewhere! 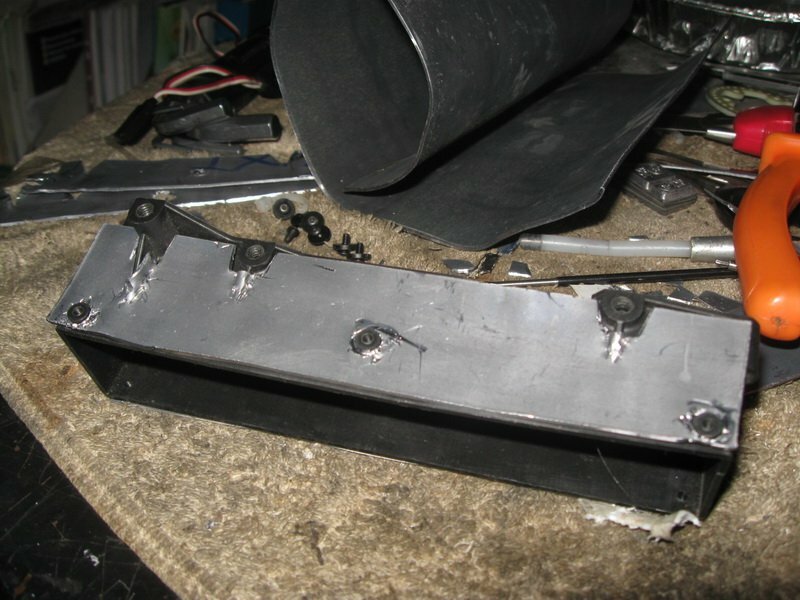 SB-5 kit rear wheel with bolts. ZH-racing rear wheel, complete with all bolts. 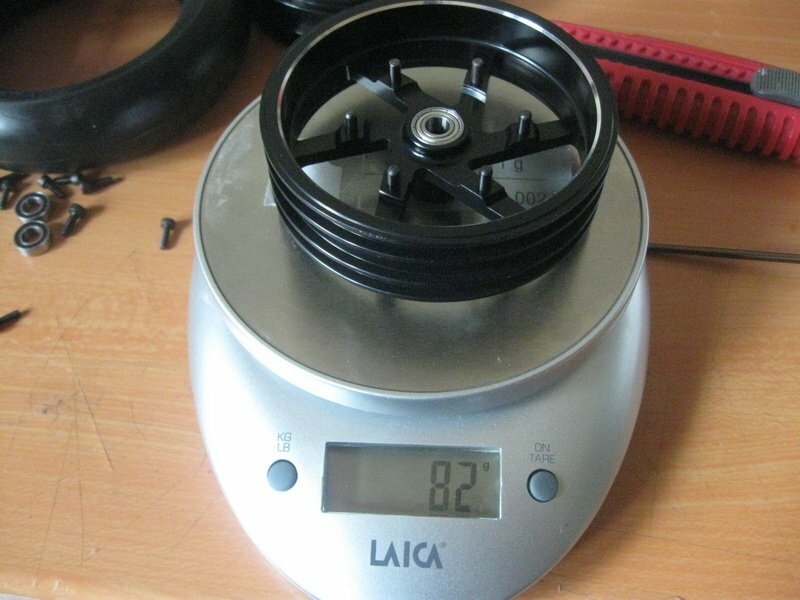 So, how do we add weight at the wheels? 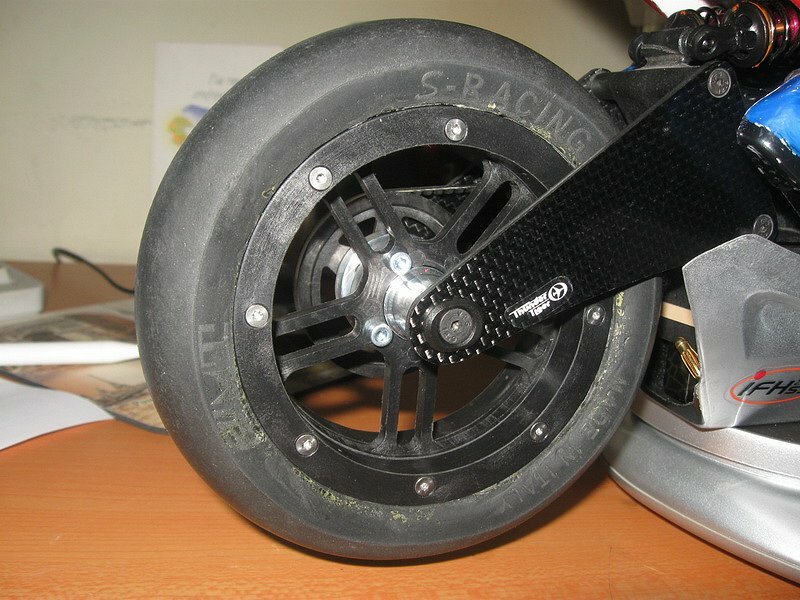 SB-5 kit front wheel, with PMT 200 tire and black SB-5 insert. 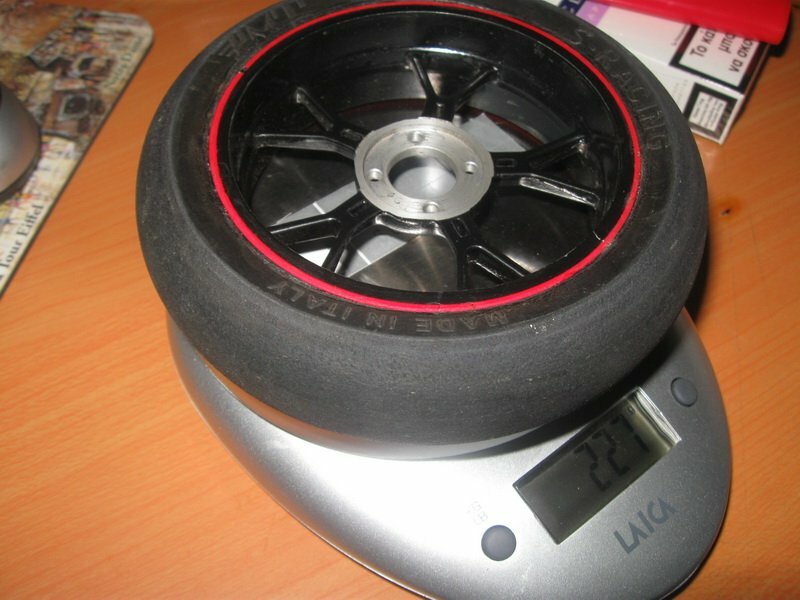 TT nitro front wheel with PMT 200 tire and "curly-hair" insert. 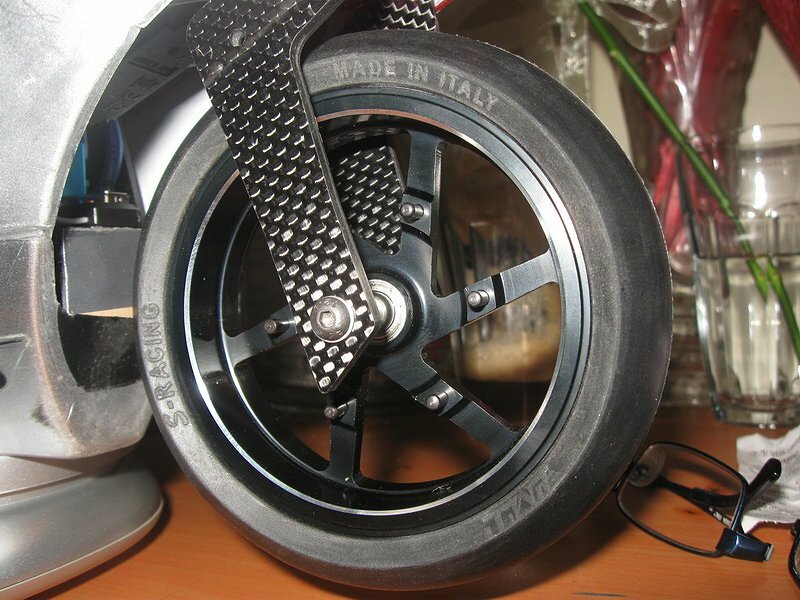 ZH-racing front wheel with PMT 100 tire and black SB-5 insert. 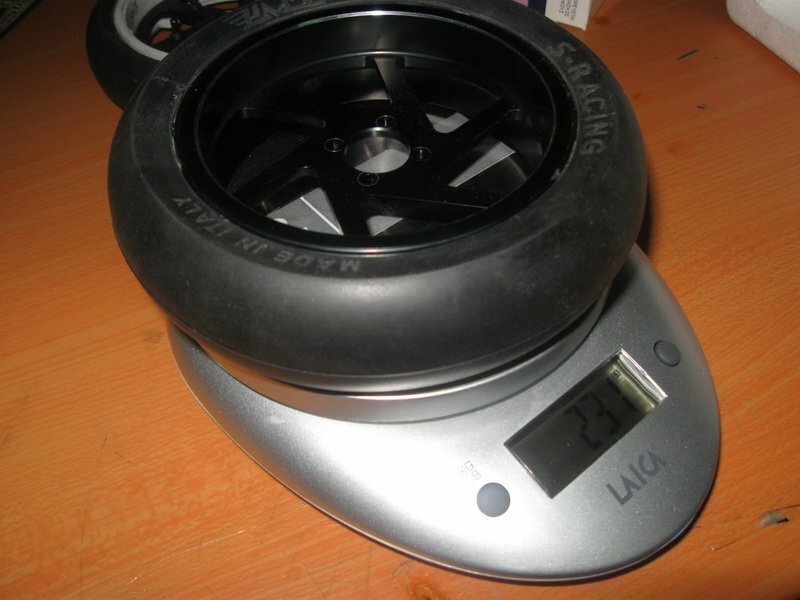 ZH-racing rear wheel with PMT 100 tire and black SB-5 insert. (Without the hub). 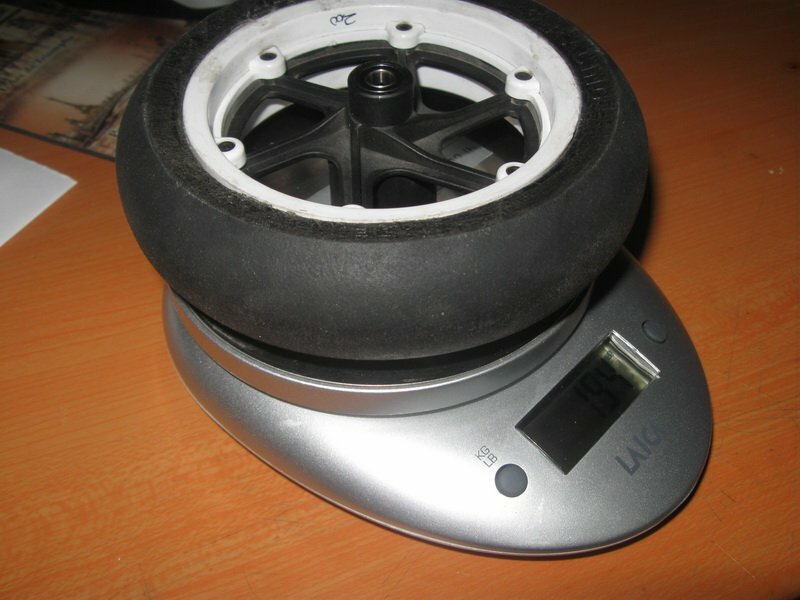 TT nitro rear wheel with PMT 100 tire and black SB-5 insert. Kit wheel with PMT 200 tire and black SB-5 insert. Ricou-Corps wheel with beadlocks with PMT 200 tire and black SB-5 insert. So far so good, then! 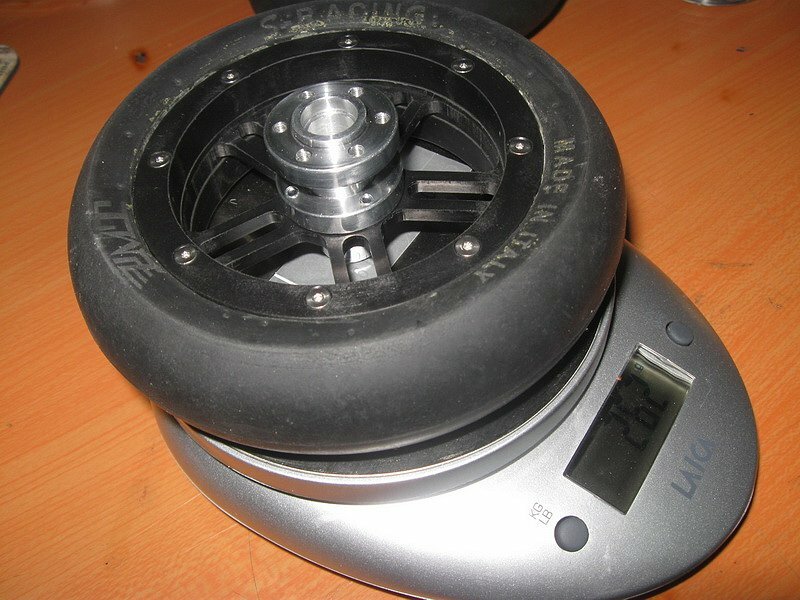 So far the bike has went up to 1880 grams, so we probably need some more weight to be added. 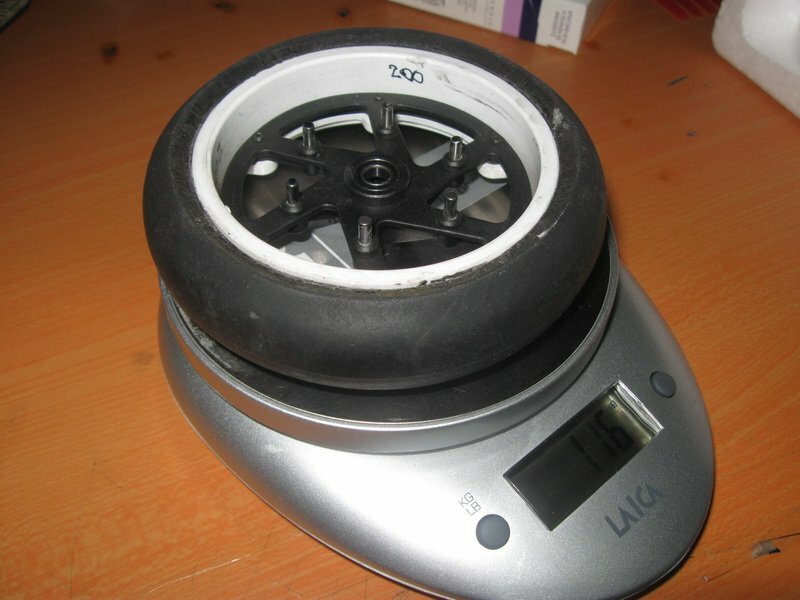 Since it's a small quantity needed, it will probably be of the Tire-shop self-sticking variety, like those they put on real cars' wheels for balancing. Notice the scratchbars around the rider's neck! 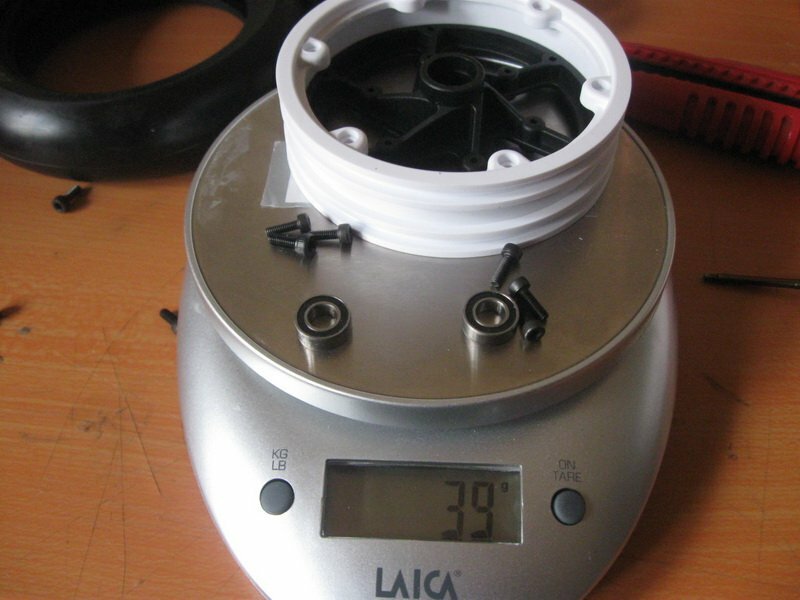 Oh, the battery is the heaviest one I could find: A 293 gram. Gens-Ace 5000/50C. 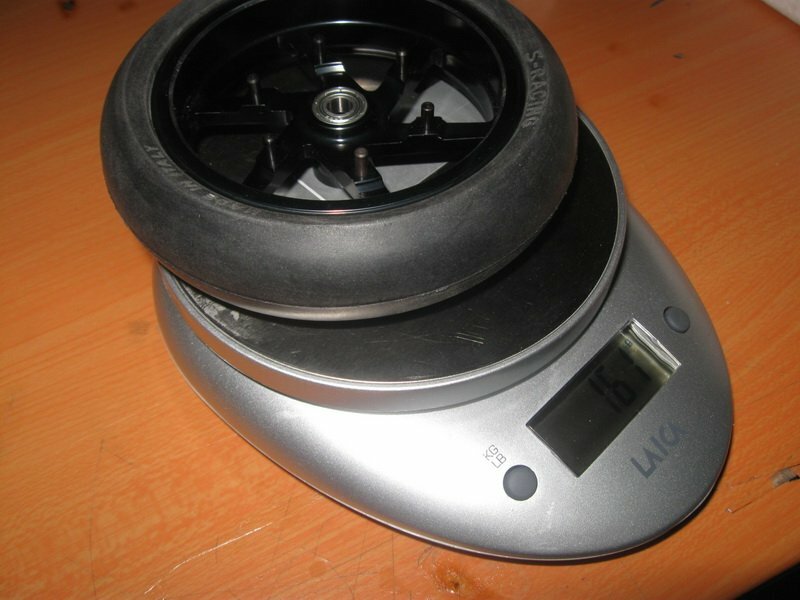 This was achieved with the Ricou-Corps rear wheel and the ZH-Racing front wheel, both fitted with PMT tires and TT black inserts, plus all the lead around the battery box. A good start, indeed, but it remains to test the handling, now! 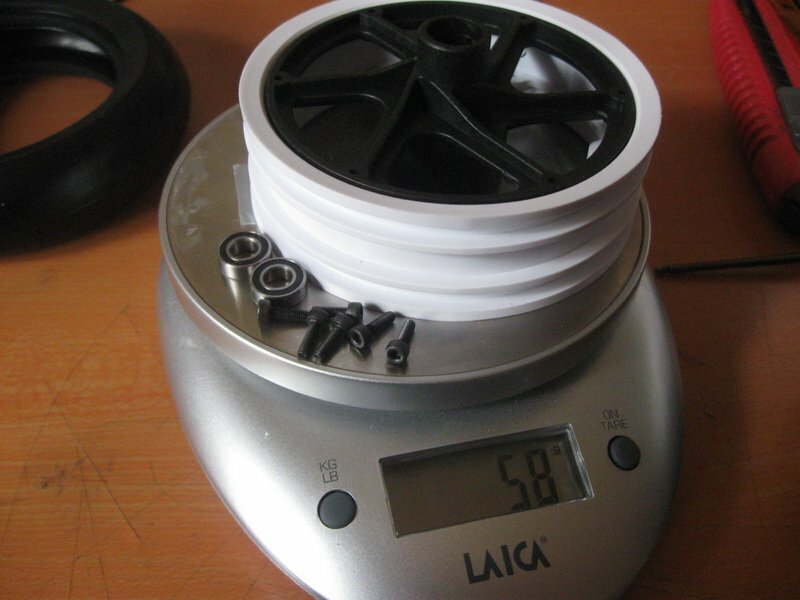 Next in the list to do/try: KP-designs wheels and hubs, to be used with TT SB-5 rims, Edi Winter's swingarm box, longer front fork legs.